Barbara has been in the real estate industry for many years. She is a Multi-Million Dollar Producer and a Lifetime Member of the Million Dollar Club. 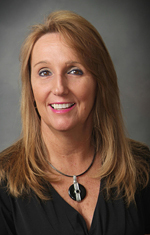 Barbara Moore specializes in Creative Financing, New Construction, Investing & Tax-free Exchanges and Property Management. She is one of the most committed realtors in Central Kentucky. If you are looking for knowledge, experience, professionalism, integrity and personalized service, Barbara has them all. Please call her if you are thinking of buying or or selling your home! Call Barbara Moore 502-863-7152. Each Coldwell Banker McMahan Office is Independently Owned and Operated.